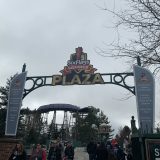 Opening Day is now 6 days away on April 6th, 2019 at Six Flags New England. I wanted to make sure that we can give you some tips to make your day go as smooth as possible! 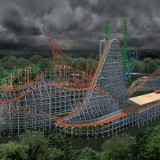 Make sure to get your memberships & Season passes done as quickly as possible as the lines get longer as the day goes on. By doing this, you can actually get more time riding the rides you love, Eating the food you want and having a lot more fun with your friends & family! 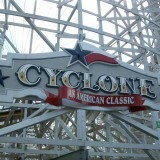 Try to get to SUPERMAN, Wicked Cyclone, & Pandemonium as quickly as you can. If the weather turns out to be nice, the day could get busy and end up waiting a while, but not as bad as a busy summer day! Plan for the weather! Right now the forecast is calling for 59 degrees, rain showers early with some sunshine later in the day and a low of 42 degrees at night! There is nothing worse than being unprepared for any kind of weather and end up become wet and uncomfortable. You could bring certain items in the park or buy them at the park if it rains with items such as ponchos, umbrella, clothing if you get drenched. 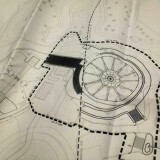 Dining plan and FOOD! We all get hungry and need to eat and gain that extra fuel to get us through the day. So this resorts back to item #1. Make sure that your dining pass for 2019 is on the pass and head to where you process your season passes and memberships as soon as you walk in, in the Whistle Stop Park Area! 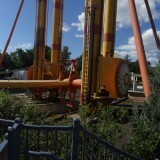 There you can get your dining pass added to your Season passes and memberships! Also if you’re a member, you can pick up your 2019 membership bottle at this location as well! Also knowing the busy times for lunch and dinner can be somewhat of a task. Lunch is usually from 11:30 AM – 3:30 PM and Dinner is 4:00 PM – 8:00 PM. From my observation, I have noticed that from12:30-2 PM are extremely busy and then 3:00 – 3:30 for lunch are busy as well! Dinner times from about 5:30 to 7:00 PM are usually the busy times. This does vary on how busy a day is, is there a special event going on like 4th Of July or another Holiday. Meeting up with SFNEOnline Fans at 1 PM in front of the Gazebo and doing ride takeovers and a group photo, if that is something you miss to partake in, we created an event on our Facebook page! let us know if you would like to hang out for a little bit! Crowd levels: This does vary year to year and is really dependant on weather. If its a really nice day, it potentially could be a moderately busy day. If it rains, it may be a light attendance day. 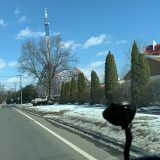 With the Off-Season ending and fans of Six Flags New England getting cabin fever, it should be a great day ahead for all! Membership preferred Parking: To be on the safe side make sure that you reserve your parking now and then print it out or have it up on your phone so they can scan the bar code and get you a receipt to get your spot! 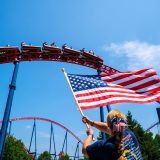 Six Flags APP: This is a great tool to see the park map, get any show times and see any events going on for a particular day! You can also see Dining Plan locations and menus! You can also sign up for Six Flags rewards and get points within the APP to be able to get points for coming into the park, checking in on rides and purchasing stuff within the park! 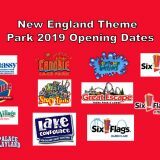 I hope to see you all at Six Flags new England on Opening Day on April 6th, 2019! For those I do not see, please have a safe and great day at the park! Thank you for taking time to read this and Keep On Coastin! Previous story Fright Kingdom: Be Mine Forever REVIEW!